Kung fu can help you learn to defend yourself, but great health and fitness benefits are waiting for you as well. 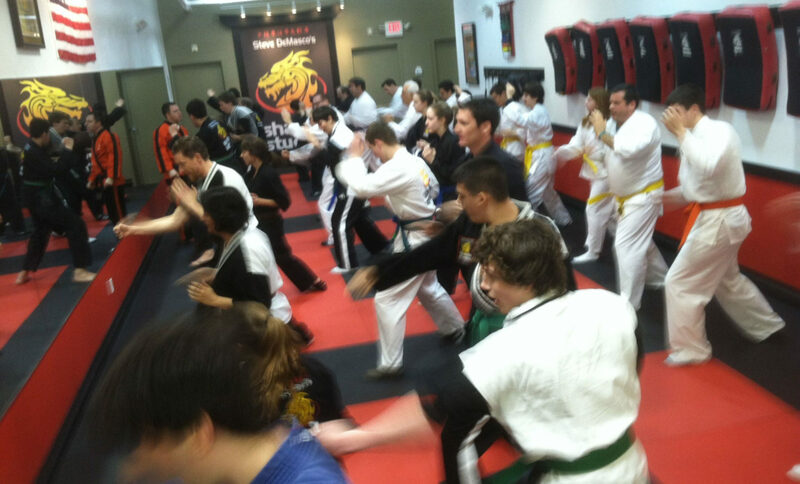 Martial arts classes are taught in a high-energy, positive environment. Because you’re always learning something new, you avoid the boredom and focus issues that come with high-repetition exercise programs. As you learn new skills and continue to refine what you already know, you are healthily raising your heart rate and keeping it there for a while. Martial artists learn to be agile and quick. It’s often the key to survival in a self-defense situation. Flexibility and joint health are also keys to a long and healthy life. A typical workout with SDSS can help you burn calories, tone, and strengthen your body. 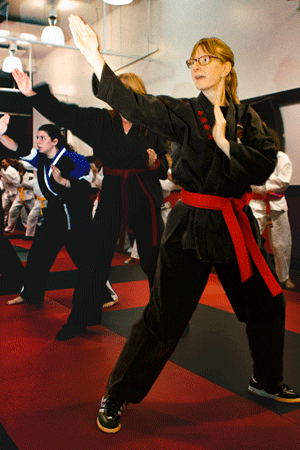 Our students typically burn hundreds of calories in a single class. This will help you trim down and maintain healthy body weight. A Kung-Fu workout is a full-body exercise program. You will increase overall performance by building endurance. This will not only help you exercise better, but it will also improve your focus and performance at work and school. Did you ever feel the mid-afternoon “blahs?” Perhaps around 2 or 3 in the afternoon, your body gets tired, and your attention drifts in that afternoon meeting or class? Improved stamina (and a full glass of water) can help improve your capacity to focus. With your newfound strength, stamina, and energy, you’ll stand straighter. Good posture improves your overall health and helps prevent nagging back problems and issues in our lower joints. It also helps you keep your energy level up. Posture also improves your overall appearance and “presence.” What do we mean by that? You’ll stand straighter, look people in the eye, and project a level of self-confidence that will improve the overall quality of your interactions with other people. Martial arts have a way of making you feel young again. Energy, circulation, and posture return. Those extra few pounds begin to melt away. You start sleeping better and awake feeling rested. Everyone experiences this journey a little bit differently, but at SDSS you’ll leave every class feeling great about yourself and about what you’re doing for your body through the martial arts.